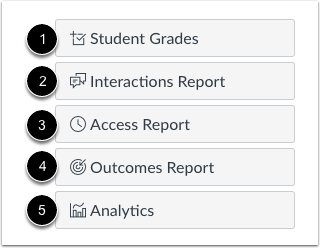 If your institution has enabled the Profiles feature for your institution, Profiles allows you to view a user's name, preferred contact methods, and any custom URLs added to the user's account. Users can edit their profile from the User Navigation Menu. If your user details page does not match the layout shown in this lesson, Profiles has not been enabled for your institution. Please reference the user details page lesson. Viewing user details in a user's profile is a course permission. Depending on your permissions, you may not be able to view all available information in the user's profile page. Messaging a user through the User Details page is not currently supported. 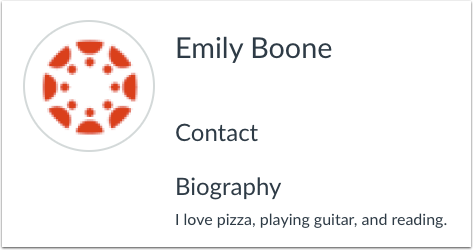 In the user's profile, you can view the user's name and profile picture (if enabled by your institution). If the user allows, you may also be able to view contact information and a biography. If the user has an inappropriate profile picture, you can report the image to your Canvas admin by hovering over the picture and clicking the Flag icon. 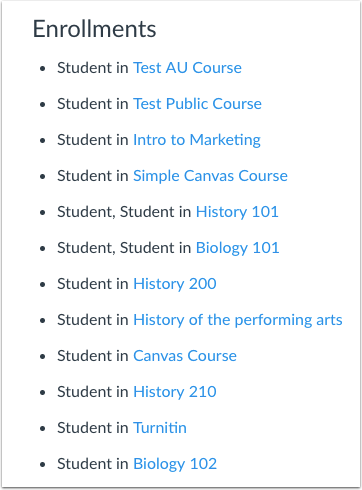 In the Enrollments section, you can view all the active course and group enrollments for the student in any courses and groups where you are the instructor. 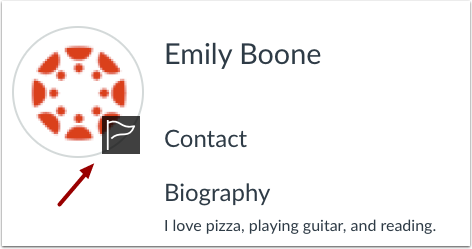 In the Links section, you can add any links added to the user's profile. The Memberships section  shows the user's course enrollment and user role, as well as any course privileges. Note: If the user was assigned a custom role, currently only the base role is displayed. Previous Topic:How do I record the last day a user attended a course? Next Topic:How do I edit user roles in a course? 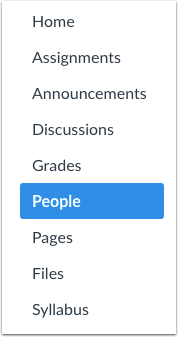 Table of Contents > People > How do I view a user's profile in a course as an instructor?